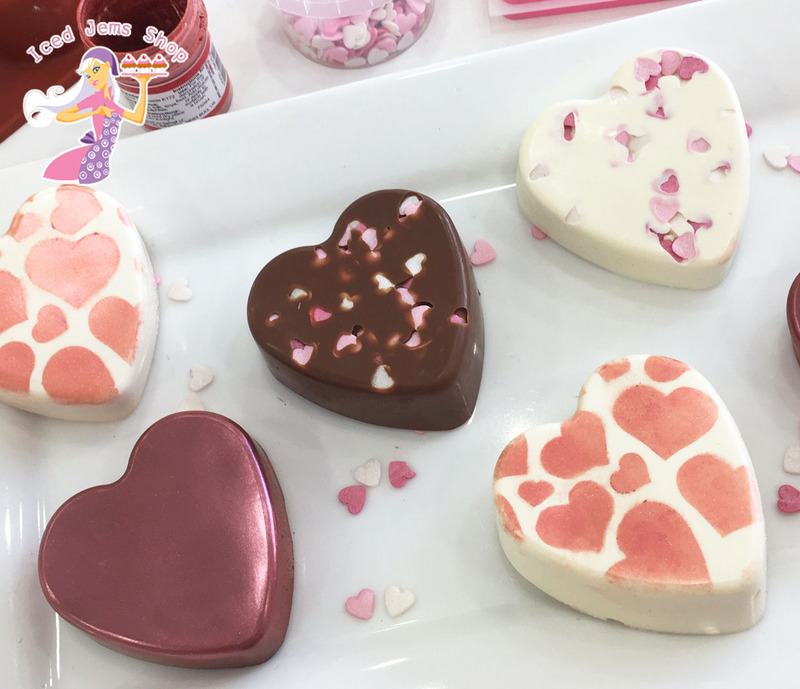 I’ve been experimenting with sugar paste more and more recently after a fab cake decorating class I took with Britt of She Who Bakes! 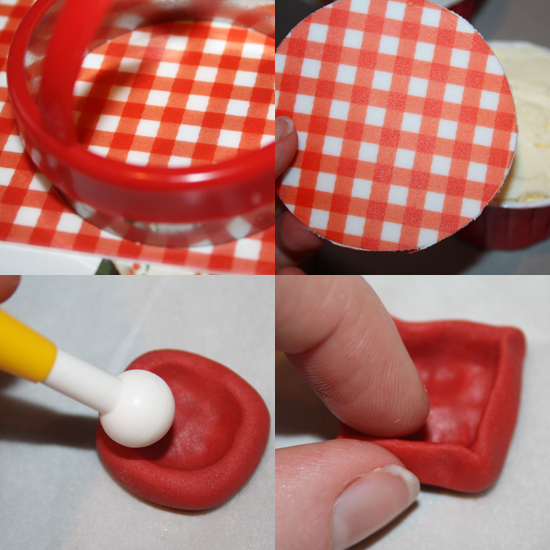 The Red Gingham icing sheet acts as cupcake topper, simply cut out a circle shape using a cookie cutter and pressing down firmly (it’s easier to do once the backing sheet is removed). 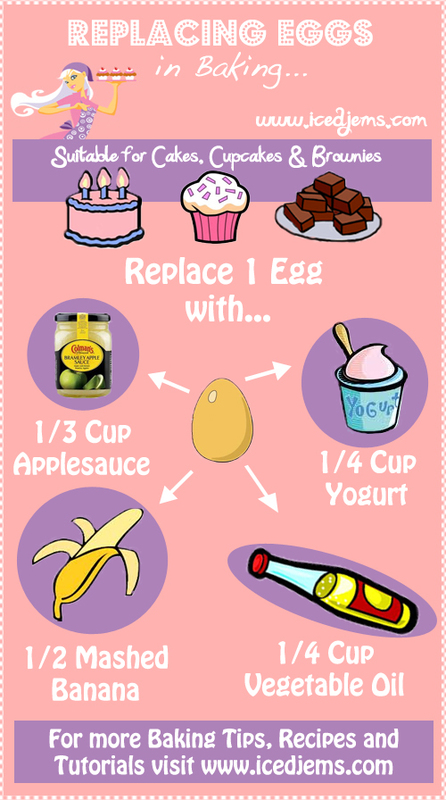 Press the circle onto the top of a frosted cupcake. Now to make your tiny box of chocolates! 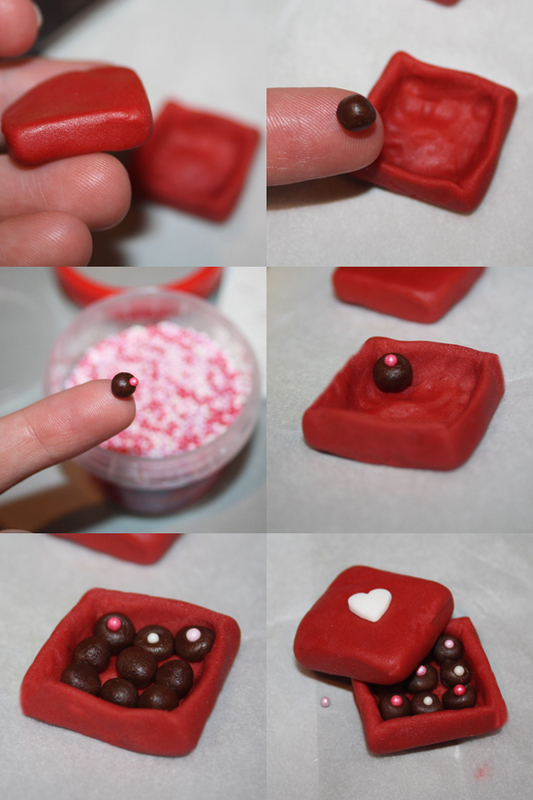 Roll a small ball of red sugar paste in your hand, then flatten to about 5mm thickness. Use a Ball Tool to press out the middle, leaving a thick edge. Now go round pinching the edge between your fingers to a point and pinching four corners to create a square shape. 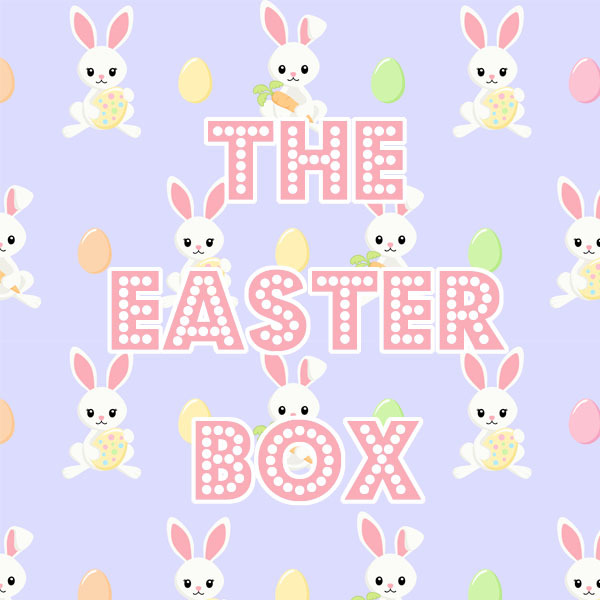 My finished chocolate box was 2.3cm x 2.3cm. Repeat this process to make the top of the box too. Now for the teeny tiny chocolates! Roll brown sugar paste into tiny balls and take one of your hundreds and thousand and press it on top. 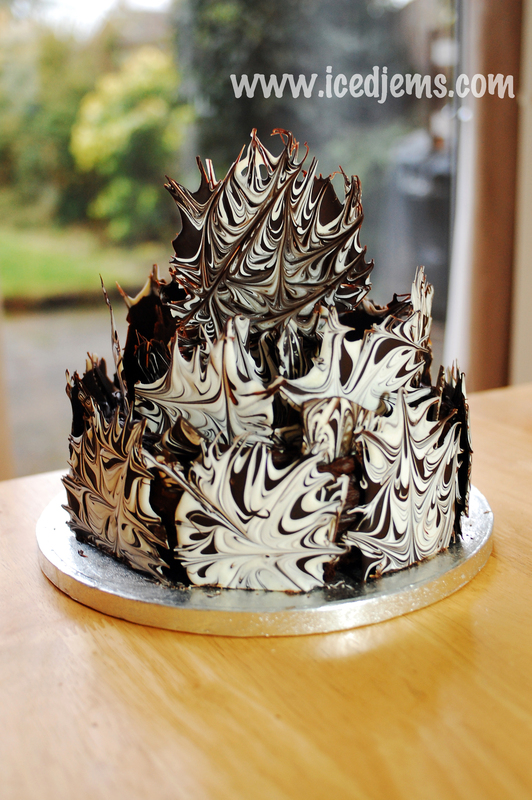 Drop the chocolate into the red box you have made, pressing down gently to secure in place. Repeat until the box is full, mine took 9 chocolates! 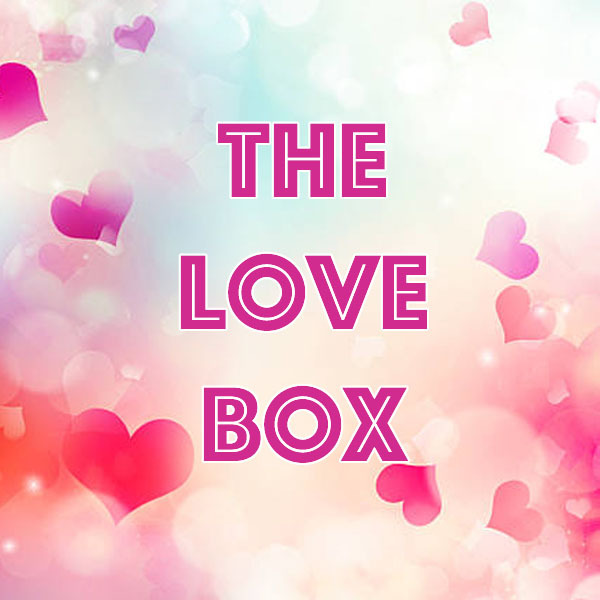 Finish off by popping a heart sprinkle on top of your box lid for decoration. The tiny rose is really simple to make too. 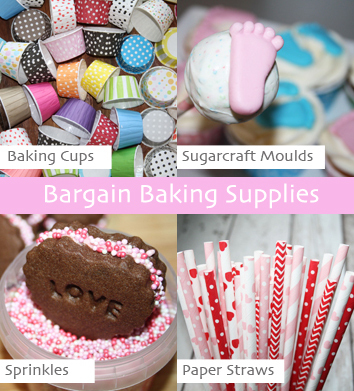 Roll a small sausage shape from your red sugar paste, then flatten it with a rolling pin. 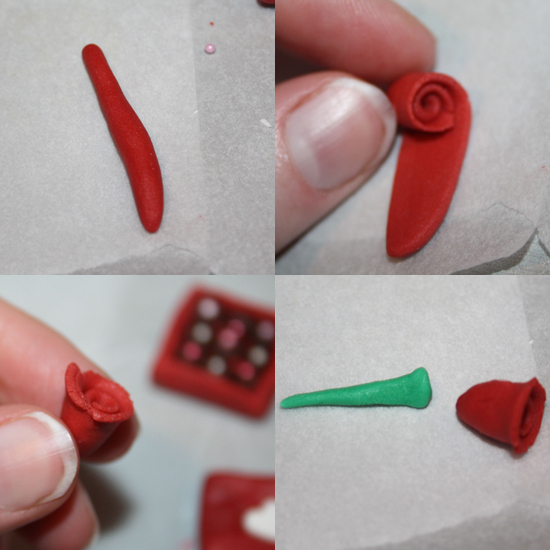 Now simply roll it up into a rose head and create a thin stalk by rolling a sausage shape from green sugarpaste. 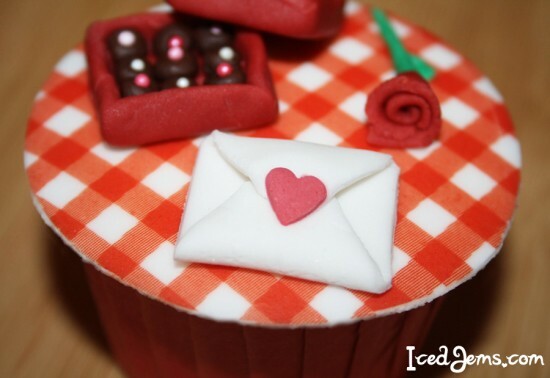 For the envelope, roll out a small amount of white sugarpaste into a rectangular shape and straighten two of the edges by cutting with a sharp knife. Press the blunt edge of the knife into the sugarpaste to mark the middle of your envelope, then trim off the corners at the top and bottom. Fold in the bottom piece, followed by the top and press down firmly. 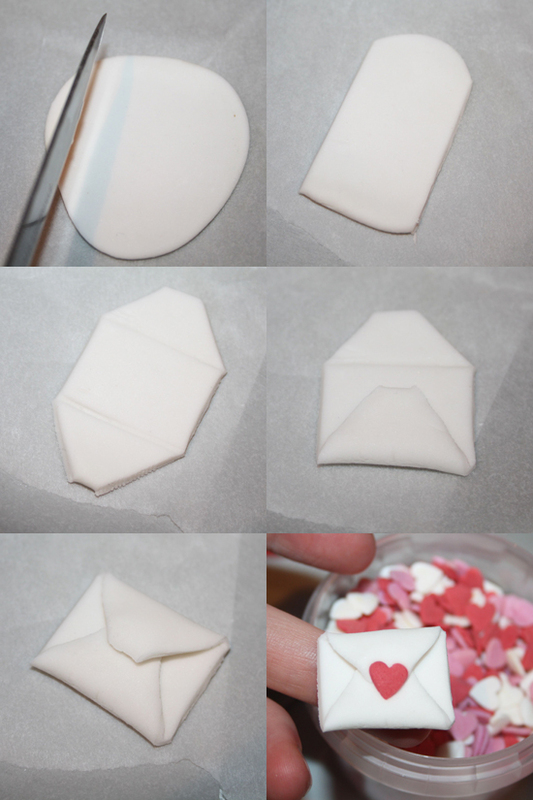 Finish off with a red heart sprinkle to act as the envelope seal. 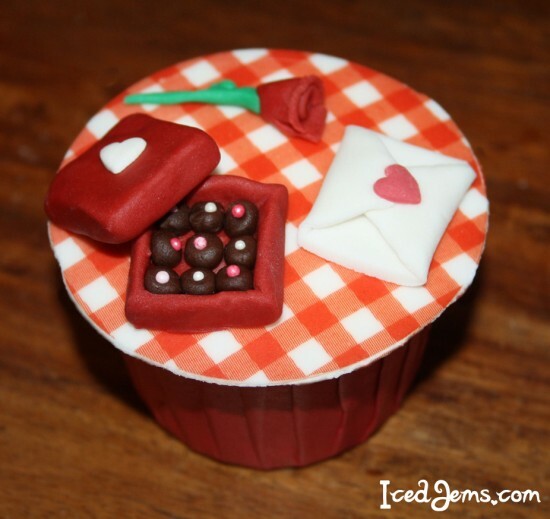 Now place all your tiny Valentine’s gifts on top of your gingham icing sheet securing with edible glue or a tiny amount and water you’re finished.